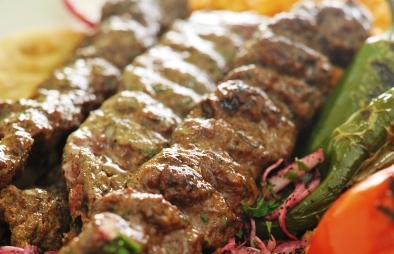 restaurants, Haaty Abou Bassem specialises in grills and tagines. is that it’s balady-touristic – a description that extends to the service, too. will likely engage in a bit of cross-lingual banter. appetisers such as mombar and stuffed vine leaves. spiced perfectly, in big portions. A certificate that states ‘Public Opinion Prize’ hangs proudly on the walls of Haaty Abou Bassem, which was awarded to the restaurant in 1991. The restaurant is showing its age and isn’t well looked after.